Added on 24 December 2018 . By Anisah Audu. The big day is finally coming – and no, I don’t mean Brexit. London is gearing up for Christmas and that means festive feasts, seasonal drinks and tacky tinsel. For some people, this time of year is all about family and gifts, but for me, it’s the food. So, I jingled my bells on down to Fancy Crab’s fancy Marylebone spot to check out their Christmas offering. Looks like Santa has made it to W1. It’s hard to miss Fancy Crab come December; with their pine and bauble-laden entrance. The party continues inside, with a huge Christmas tree covered in bows and bright lights. But the real question is; how’s the food? This year, they’ve got a 3-course meal (£45) and it’s not the Crimbo spread that I’m used to. Kicking things off with a couple of plum-laced Bellinis, we settled into starters. My duck liver parfait was perfectly paired with a tangy sloe gin and berry chutney, though the other half’s crab and lobster-filled ravioli was on the salty side. When it comes to mains, you can go traditional with turkey, or Fancy Crab-style with seafood. 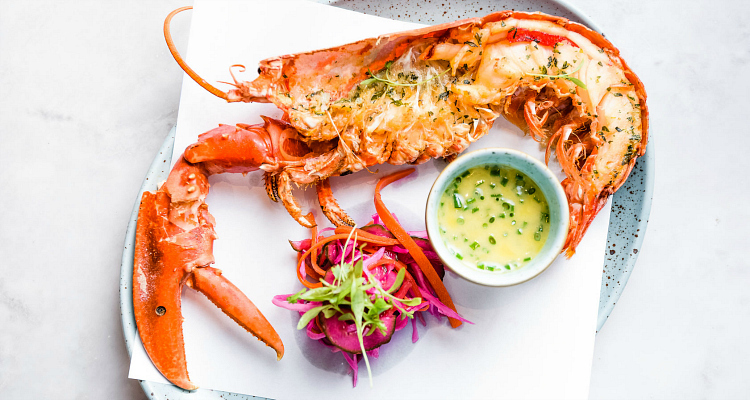 Pan-fried cod may have been bland, but lobster thermidor smashed it out of the park. Crab ain't the only fancy thing here... hello lobster. Getting well into the Christmas spirit, we ordered a round of Veuve Cliquot (£12) and Irish oysters (£9.25 for 3) before dessert came. The pear and fig tart was a hit, though the spiced sorbet atop seemed to have been switched with plain vanilla and didn’t pack much of a punch. My Eton mess was a gorgeous mound of meringue, encasing all the usual suspects; top marks here. Looking for a last minute spot? 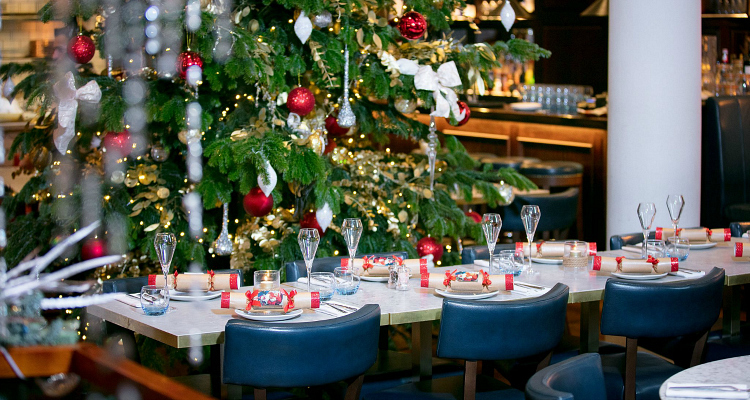 The Christmas menu at Fancy Crab is available until January 6th and costs £45 for 3 courses and a seasonal bellini. Find it at 92 Wigmore Street, W1U 3RD.